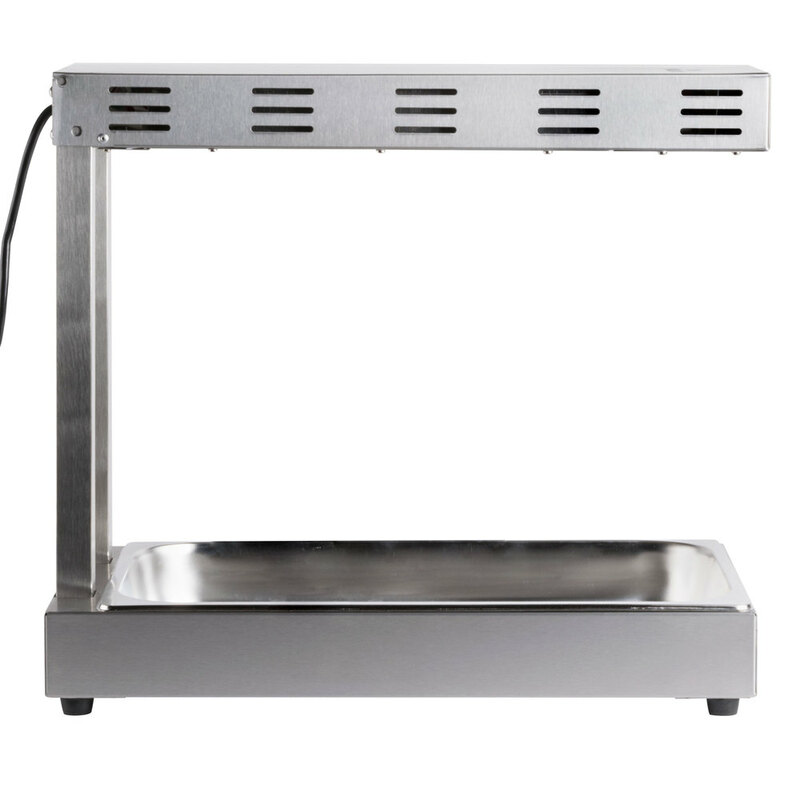 Keep your fresh fries crispy and hot with this Avantco FFDS-1 freestanding infrared French fry warmer / dump station! 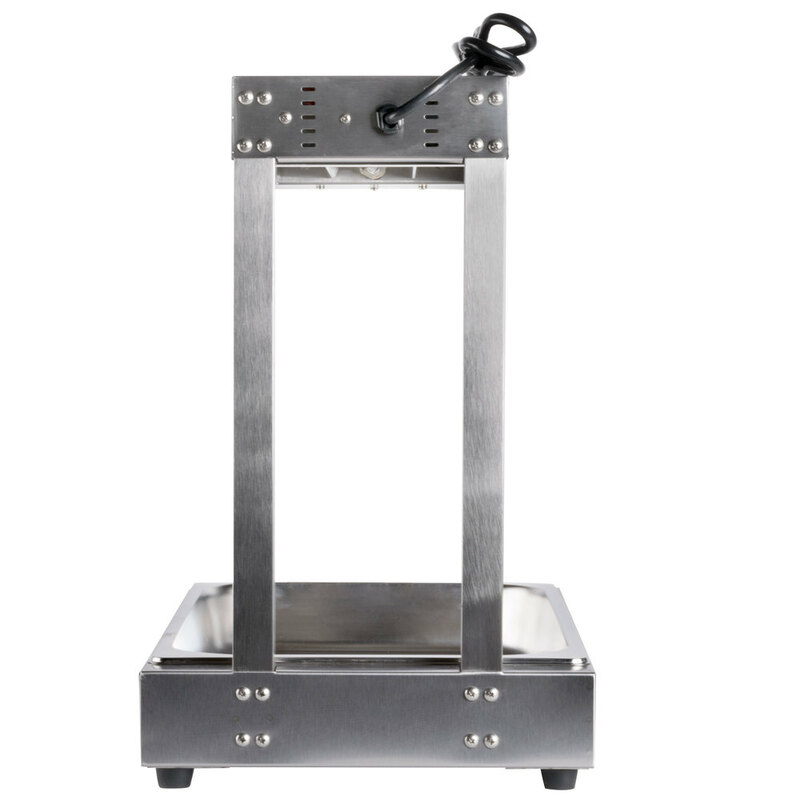 Made from all stainless steel for an easy-to-maintain interior and exterior, this unit comes with a base that includes a 2" deep food pan to hold you fresh cut fries in a safe and sanitary manner. 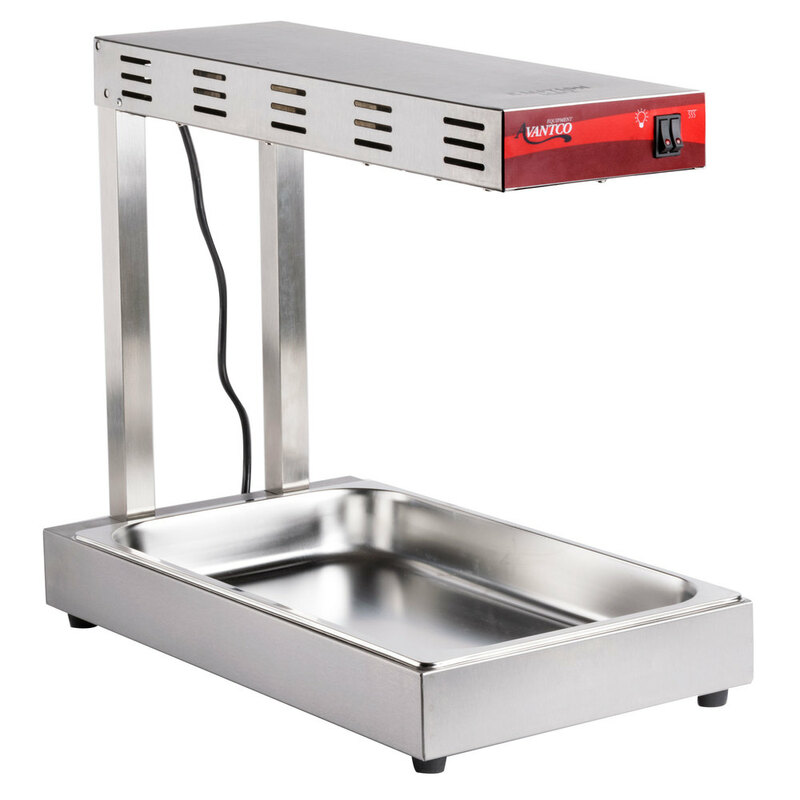 This Avantco fry dump station uses infrared heat with two 500W calrod elements and a quartz light to keep your fries hot. It comes standard with a 4' long power cord to allow you to move this warmer from the counter to the work table and back - wherever you need it the most. Simple, easy-to-use controls for both heat and light ensure that it is as easy as possible to keep your fries hot. 1000W, 120V. Control Panel Width: 7 3/4"
Control Panel Height: 2 1/4"
Great for use in the back-of-the house. The sturdy design gives it great stability during those busy lunch and dinner rushes. Keeps food very hot during service as well as well lit from the bright light. Light enough to move around during cleaning times and easy to clean. Warmer is a very good value and seems to be working perfectly fine. The build quality is very decent...except, the top warmer part of the unit sits very crooked. Nothing is bent or damaged and I have disassembled and re assembled to make sure we had put it together correctly and it just seems to be made like that. 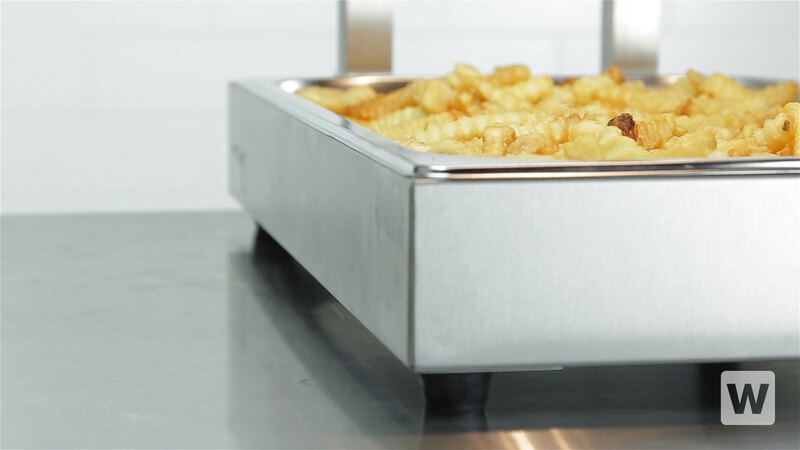 The Freestanding French Fry warmer is an exceptional product. It keeps French fries nice and toasty and with a removable pan is easy to clean. Although it is not one of the best in the market ,Do not wait any longer, if you are looking for a Freestanding Infrared French Fry Warmer, I would recommend this equipment, very good as it warms and maintains the temperature, besides being very comfortable for cleaning. 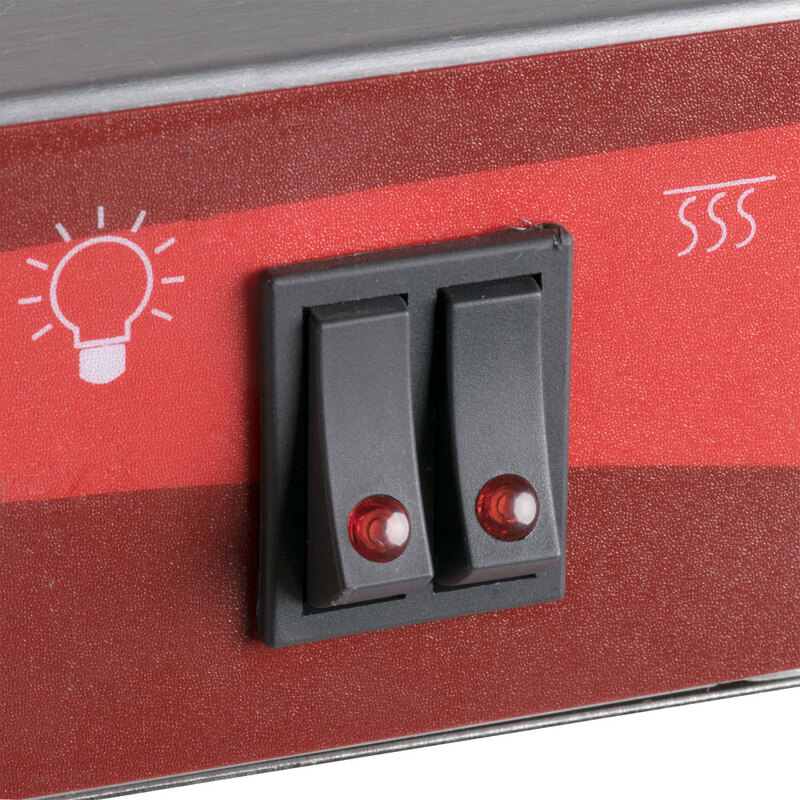 This warmer works perfect in our concession trailer by keeping our fries and pretels at a great temperature. It is a perfect size for what we were needing. Works perfectly when we use it. We generally do our fries on demand but when we do use this, it sits for a very short period of time. Highly recommend! This warmer takes up little space and allows our chef to keep the food warm while waiting for the rest of a customer’s order to be ready. Super neat and awesome . This item add value to my business as it keeps my fries warm and presentable. Awesome product great brand. strong product. Great quality. Needs to be cleaned well daily. Keeps food really hot. Excellent value for the money spent on it. there is a nice light underneath also. These are great warming stations for our french fries and other fried goods. The heat on these are very impressive. The price is super compared to similar items out there. Have purchased many of these. 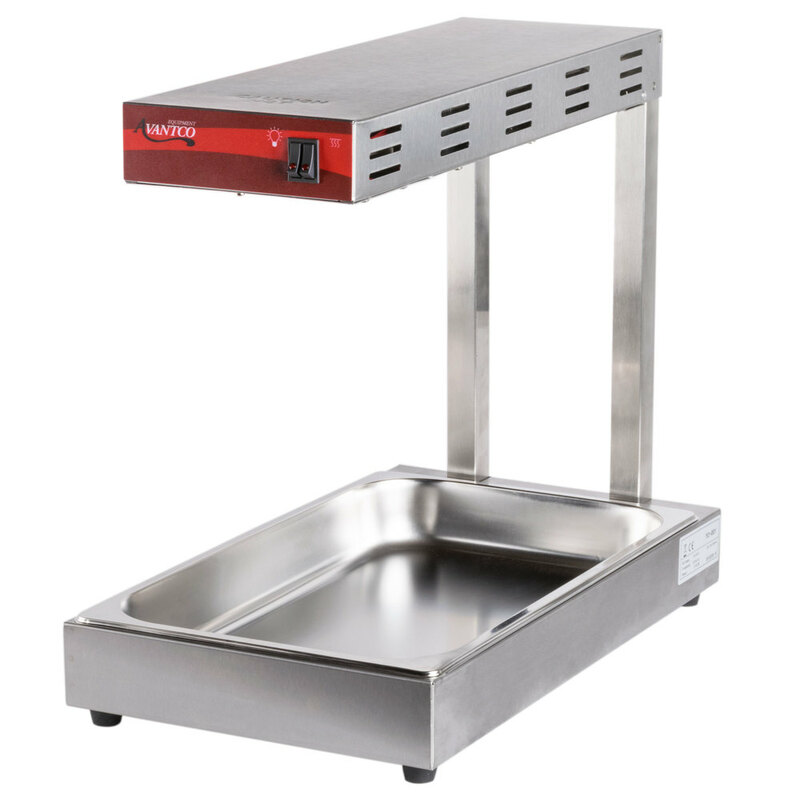 The Avantco FFDS-1 freestanding French fry warmer/dump station is a great price. The infrared lamp does the job better than a heat lamp bulb. It would be a good idea to order a full size stainless steels pan with holes to drain the grease. Can hold lots of fries and food warm for a long time. Keeps the freshness in your food items and does not leave a lot of oil. Keeps food crisp as well. Great item. We use the french fry warmer daily and it hasn't disappointed us. It will keep your fries hot in a bowl or hotel pan. We have 2 sets of these fry stations and they are great. We have a lot of fried food in our grill and the size is perfect! The Avantco FFDS-1 Fry Warmer/Dump Station is a very economical pieec of equipment which can serve a variety of uses and offers a relatively small footprint. This item replaced the old fashioned heat lamp with bulbs. The bulbs burned out very fast and added to the operating cost quickly. This Avantco warmer is excellent. Plenty of heat. The one and only issue I have is that the top leans downward a bit making it look a little cheap. So far, no problems with it. Probably one of the better purchases that I got from Webstaurantstore. Keep your fries at a good temp while everything is finishing up. Has two forms of heat which I pretty much keep both on at all times. Doesn't take up too much space. If you are frying a lot one of these is a necessity. About to purchase a 2nd or a 3rd to maximize our space and efficiency. 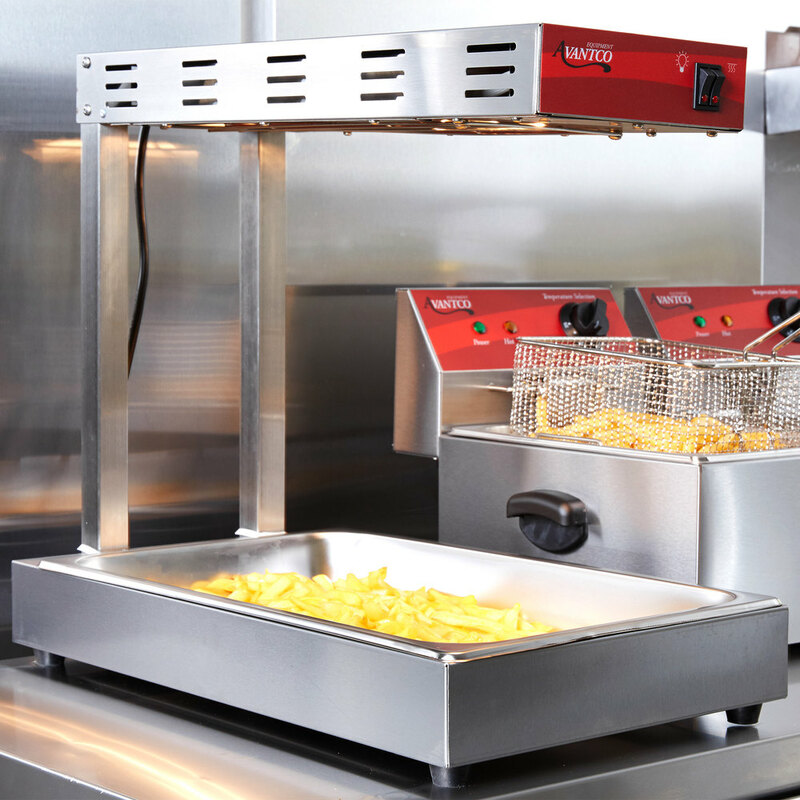 This French Fry warmer is very helpful specially in buffets, we like that it Works great and because of it's size, it can easily be positioned just about anywhere. It is of great quality and we highly recommend it. Avantco FFDS-1 Freestanding Infrared French Fry Warmer / Dump Station - 1000W, 120V, is working great so far! It had a little assembly required, but was very easy to put together and seems sturdy now. It came with a 2" deep base pan, I liked that I didn't have to purchase that separately! So far so good. Only been using it for several weeks. Wish it put out a little more heat, but is working great so far. Great product, works great, very low price for this item. Just ordered another one. Will be replacing all older models in our restaurant with this model.